In collaboration with Indiana University East Asian Studies Center and the National Consortium for Teaching About Asia, the Sejong Cultural Society will co-host a two-day workshop for K-12 educators about traditional Korean fine arts. The application deadline has been extended to April 3rd. The workshop will provide lodging, all meals, and a modest travel/personal stipend. 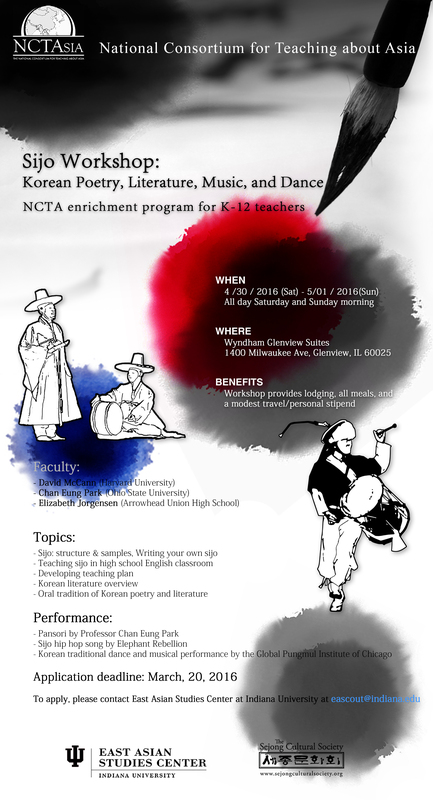 The workshop will primarily address the traditional Korean poetry form known as sijo and how to bring the sijo to pre-college classrooms, as well as both contemporary Korean literature and traditional Korean forms of oral storytelling and poetry. The workshop will be highlighted with performances including a traditionalpansori storytelling by Professor Chan Eung Park and sijo-inspired hip hop songs written and performed by Elephant Rebellion. 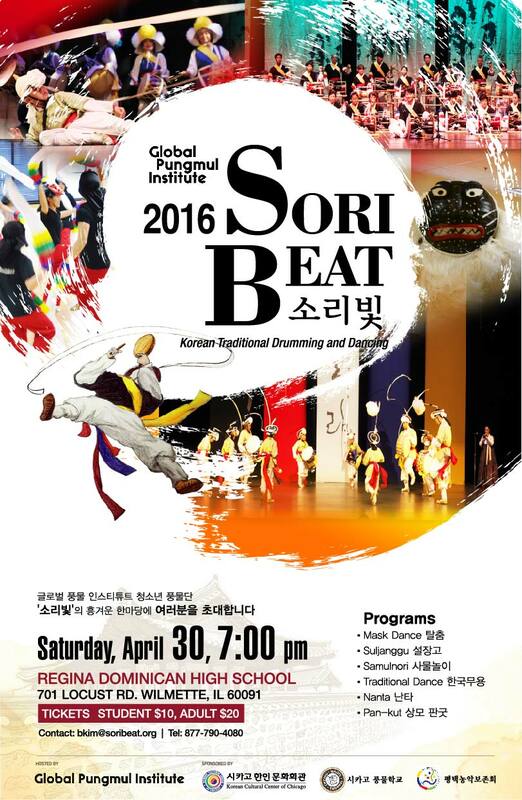 Saturday evening's workshop will conclude with 2016 Sori Beat, an exciting performance hosted by the Global Pungmul Institute featuring a variety of traditional Korean dancing and drumming. Free admittance and travel accommodations will be included for all workshop participants. To apply, please contact the East Asian Studies Center at Indiana University at eascout@indiana.edu.